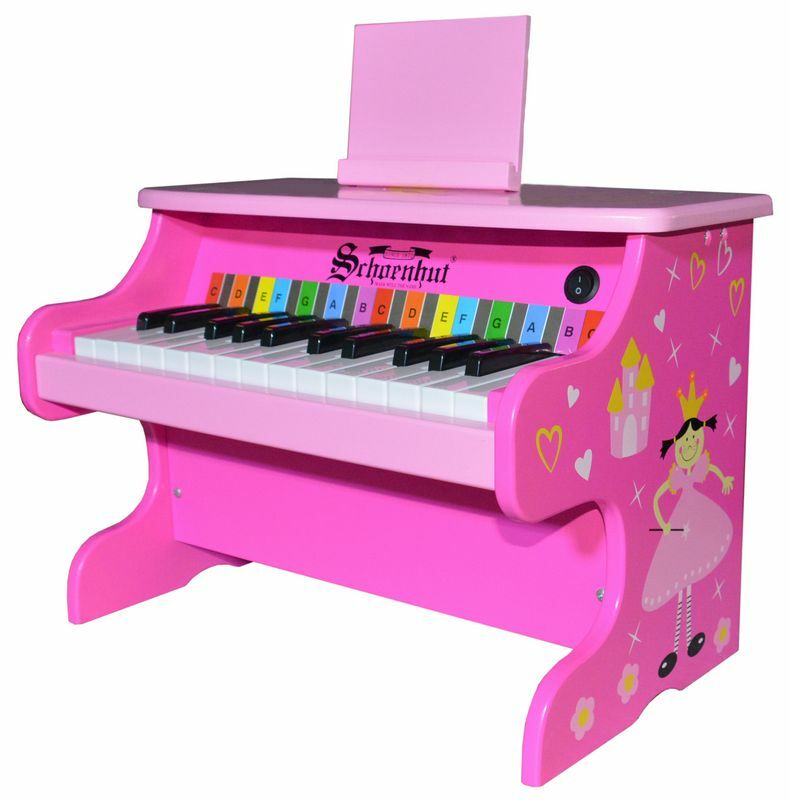 Schoenhut's 25-key Electronic Piano Pink Princess sits safely and squarely on the floor within easy reach of little hands...a great choice for beginning musicians. 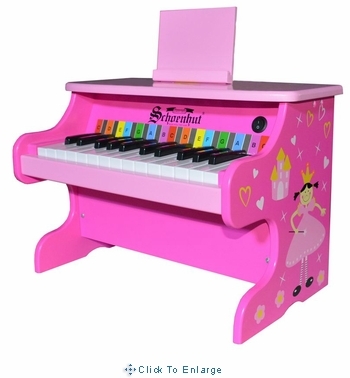 Whimsical and appealing for children, this unique and fun music instruments- Schoenhut 25-key Electronic Piano Pink Princess will provide children hours of musical enjoyment with its smooth and polished digital sound. Schoenhut's Patented Tri-Play Learning System: Schoenhut's Learning System, with its play-by-color assortment of songs, makes playing simple and fun. A removable, color-coordinated strip fits behind the keys to guide small fingers from chord to chord. The corresponding Songbook contains a collection of familiar tunes. This Learning System has been specially designed to build a child's confidence and develop basic playing skills. Shipping: This item will ship from St Augustine, FL via FedEx within 1-2 business days.